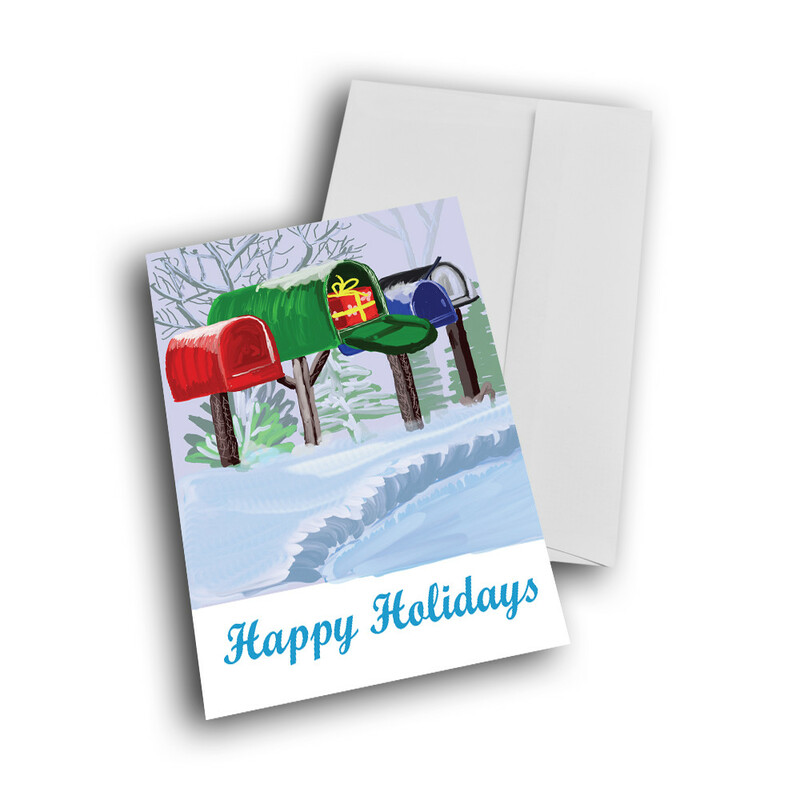 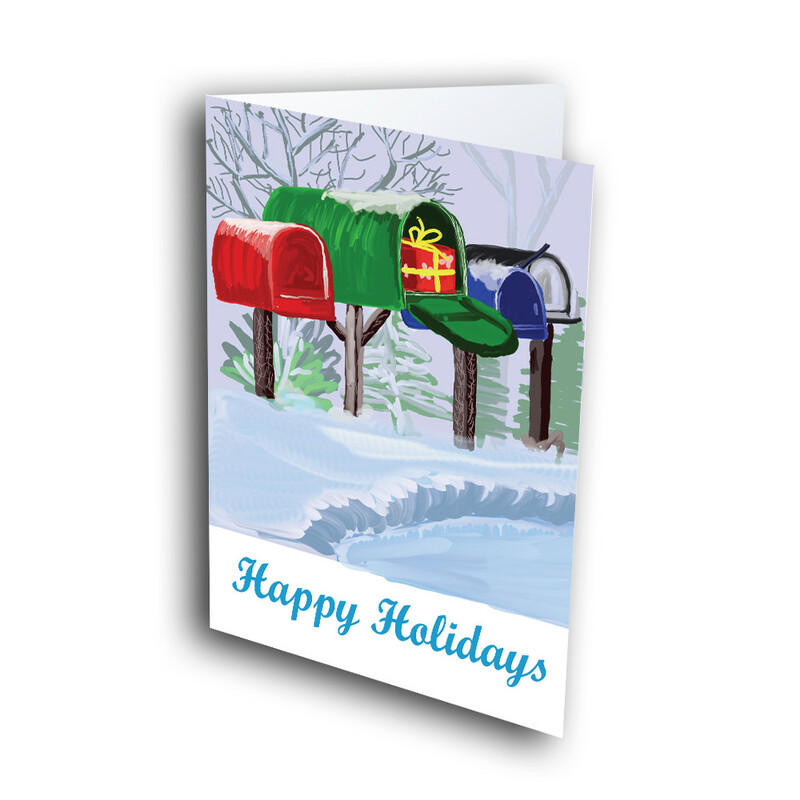 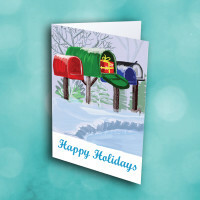 Send a gift by mail with this cozy, wintry, holiday greeting card. This classic holiday card is perfect to spread some holiday cheer. 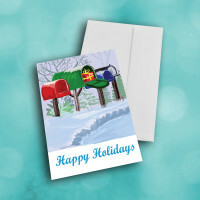 The frosty scene on the front shows brightly colored mailboxes, one of which opens to reveal a festive present inside. 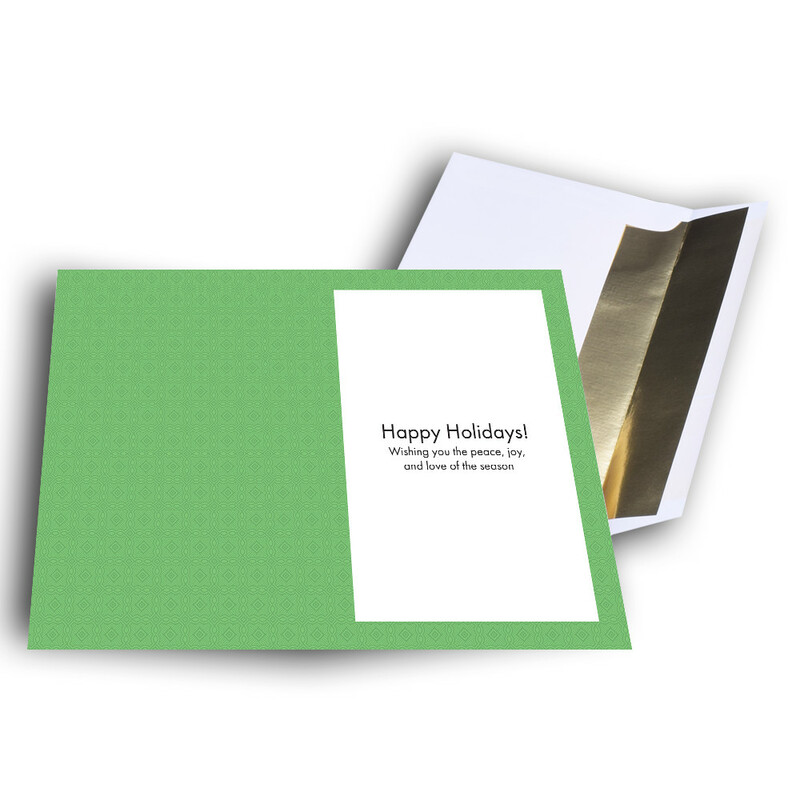 The inside is a beautiful olive-green, adorned with an intricate diamond pattern and a warm message. 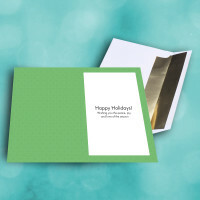 Make this a personalized holiday card by adding your own custom message instead.